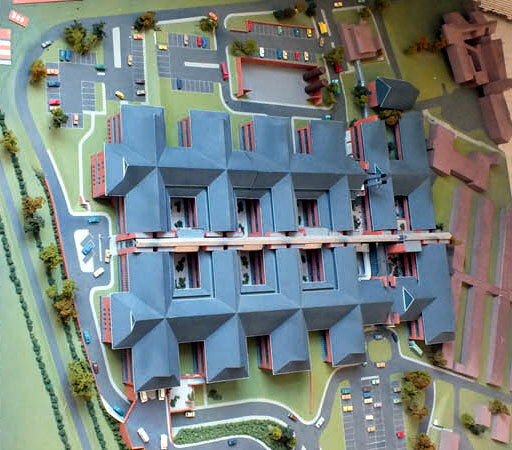 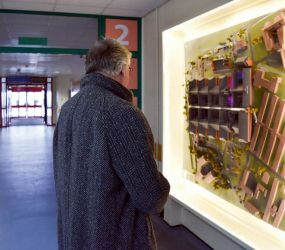 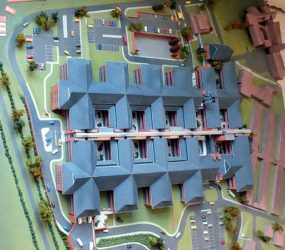 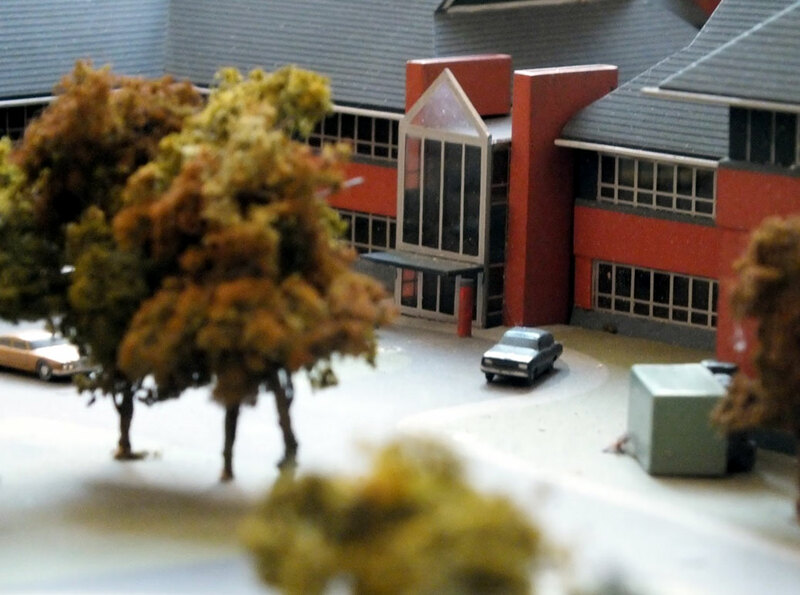 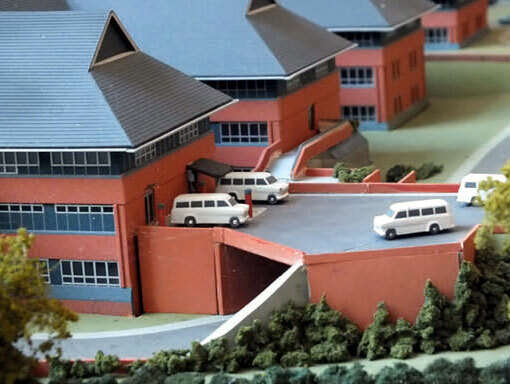 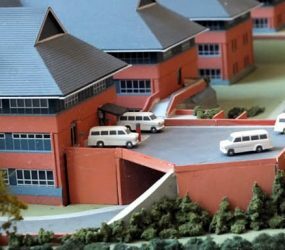 Displayed on the Level 2 corridor is the architect’s model showing the 3D concept of the new building work that formed Salisbury District Hospital in the late 1980s-early 1990s. 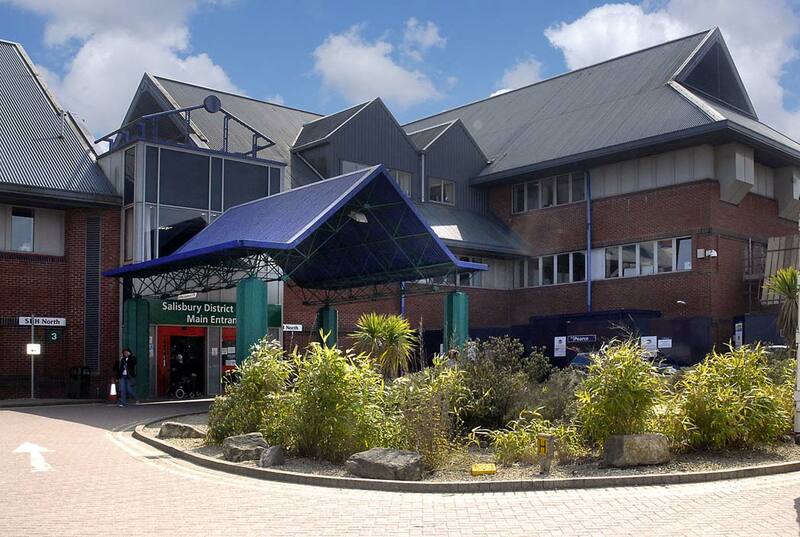 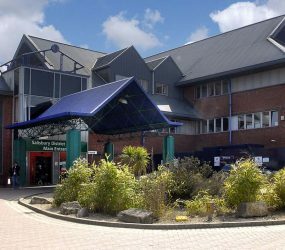 Created by healthcare architect firm Llewlyn Davies Weeks it likely dates from around 1987, as it was photographed in October of that year. 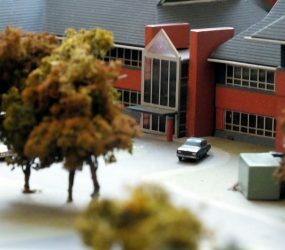 Small differences can be seen from concept to the finished building, including glazed central corridors, as well as the canopy at Main Entrance (compare the photos below). 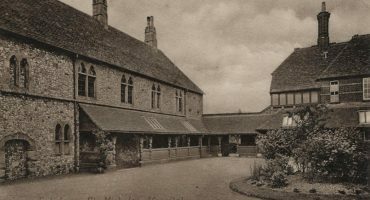 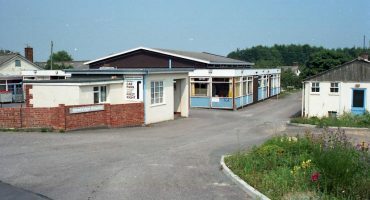 This new building was one of the biggest changes to the original site, which was erected in 1942 by the US Army as a hospital to receive casualties from the D-Day landings. 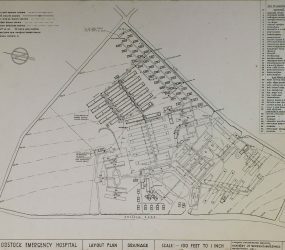 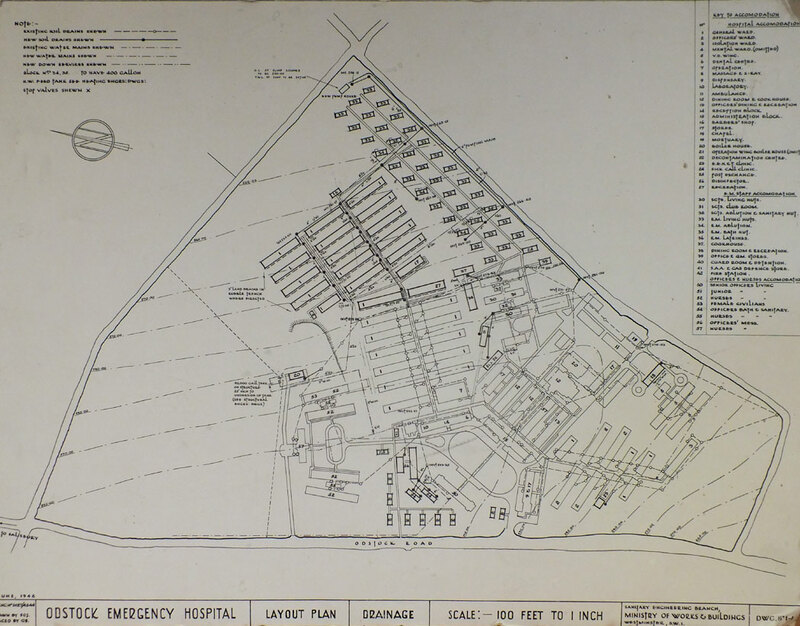 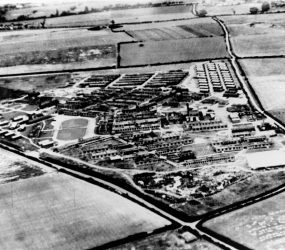 The 1993 building stands on the area of long nissen huts shown in the 1942 plan and aerial photographs pictured below. 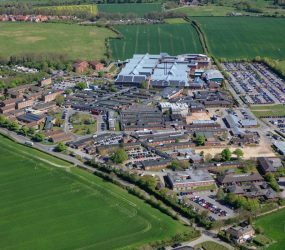 The new 5 storey building stands in contrast to the old World War 2 site, which was all single storey to prevent catastrophic loss if hit during an air raid. 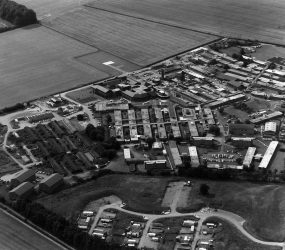 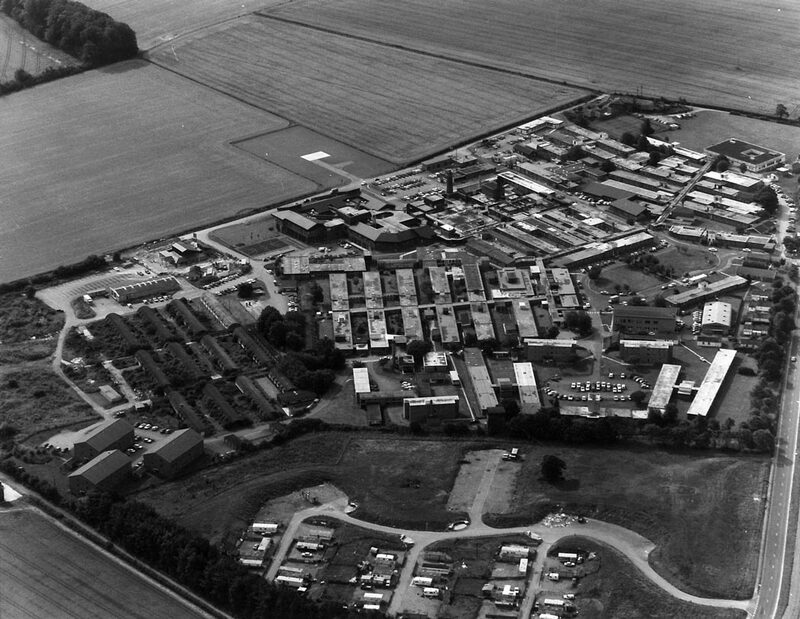 The aerial photograph shows the hospital site as it was in the mid 1980s, just before building work started. 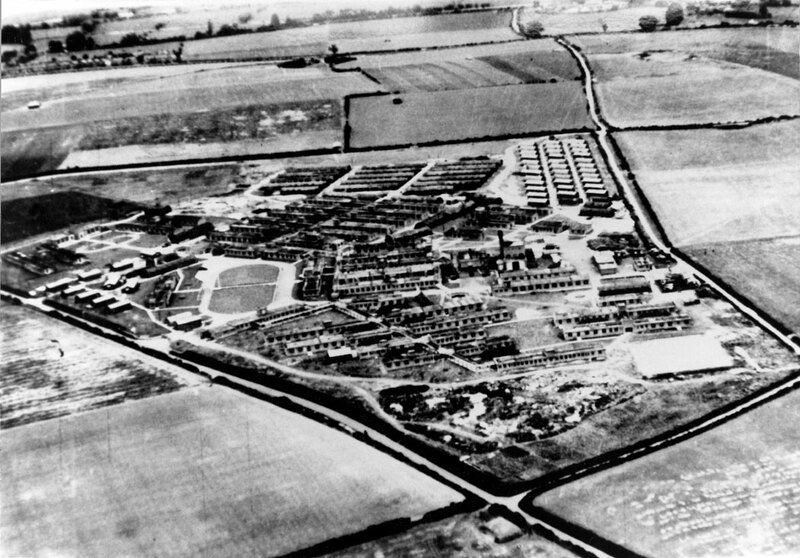 The nissen huts that were knocked down to make way for the new hospital are visible on the left edge of this photograph. 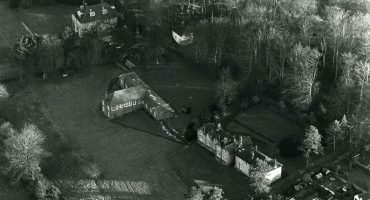 The Spinal Unit, seen in the top middle of the same aerial photograph, was opened in 1984 by HRH Prince Charles and Princess Diana. 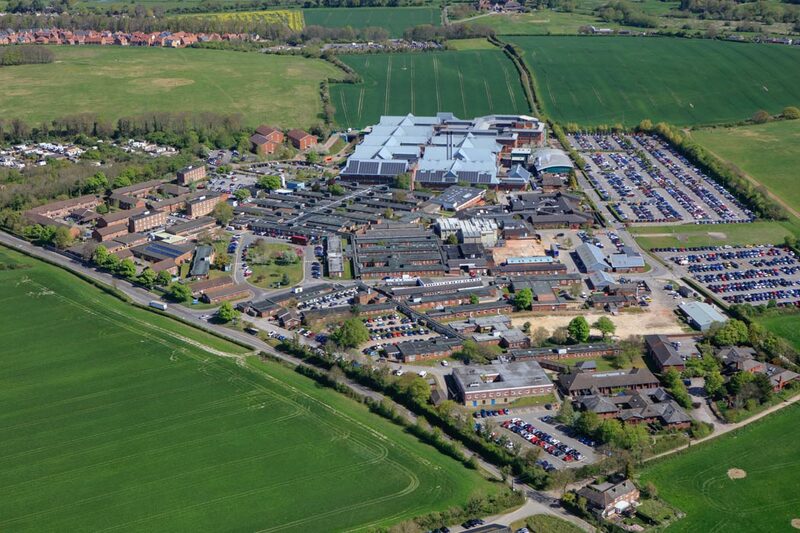 The final aerial photograph shows Salisbury District Hospital site in the present day, taken in the summer of 2017.